Does the brutal killing of an innocent and endangered wild animal, done for no purpose other than to satisfy the blood lust of the killers, cause global outrage? That depends. Everyone has heard about the horrible killing of Cecil the lion. A google search returns over 43 million hits. Nearly half a million people have signed a petition calling for "Justice for Cecil." Jimmy Kimmel raised $150,000 for the conservation unit in charge of Cecil. I love lions, I have watched them in Africa, and I found the story of Cecil's killing to be tragic. Yet there was another, similar, incident in the last few days that went virtually unnoticed. A striped hyena was walking alongside a road near Hebron. Several Palestinian drivers noticed it and chased it. Finally cornering it, they got out of their cars, and stoned it to death. And the entire incident was filmed and uploaded to the internet. Number of hits on google? Eight. Why the overwhelming difference in interest? Striped hyenas are even more endangered than lions. And an act of brutality carried out by several people is surely more significant than one carried out by one person. To be sure, the lion was more famous than the hyena even in life. Still, that alone does not suffice to account for the enormous disparity in interest shown in these two stories. Rather, it seems that there are other, less justifiable factors. One is that lions are more endearing animals than hyenas. While I personally have a soft spot for hyenas, especially after playing with a tame one, they don't have the same beauty as lions. That's why Disney, in The Lion King, made lions into the good guys (unless, of course, the lion has a British accent), and hyenas the bad guys. But that's not an intellectually defensible approach. If we care about animals, we should care about the ugly ones just as much as the beautiful ones. I suspect that there is another factor at play here: the identity of the villain. With the lion, the villain is a rich, white, presumably Republican, American. That's the type of person that the world loves to hate. Whereas with the hyena, the villains are a group of Palestinians. It's not so popular to show them enjoying throwing rocks to kill. There used to be a great television show in England called Spooks, about the counter-terrorism service known as Mi5. It was intended to be more realistic than similar shows from the US. Yet as the series went on, a bizarre pattern developed. The bad guys were almost always white Americans, British white supremacists, or the Mossad. There was almost never a Moslem terrorist. This was despite the fact that the real-life Mi5 is currently monitoring 2000 terrorist suspects in the UK, every single one of which is Moslem. I'm currently reading a fascinating book called Catch The Jew. The author, a secular ex-Israeli, visited all parts of Israel, under the guise of being a German non-Jew. He documents his astonishment as he discovers that the vast Jewish and international effort to assist the Palestinians is largely motivated not by concern for the Palestinians, but rather by hatred of Israel. The world is perpetually up in arms about the treatment of Arabs by Israel, yet it cares little about the inconceivably worse treatment of Arabs by Arabs. If you care about the senseless slaughter of endangered animals, then you should care about the unnamed hyena as much as you care about Cecil the lion. But for many people, it's not about caring for the victim - it's about hating the villain. For an extensive discussion of the role of the hyena (and the lion) in the Torah, see The Torah Encyclopedia of the Animal Kingdom. And you can see specimens of both at The Biblical Museum of Natural History. It seems to me an obvious difference is Cecil's killer went into Cecil's house and killed him for no reason, one could argue that this hyena was wandering outside of its natural habitat and potentially caused danger to humans. Said another way, if Cecil had wandered into someone's backyard (or a bear, or any wild dangerous animal) and the owner of the backyard shot Cecil, it probably wouldn't cause as much outrage. In addition to what you stated so well, it seems likely that the vicious stoning of the poor hyena was considered by those real “Vilda Chayos” to be practice for future attempts at stoning attacks against Jews. Hashem Yishmor. Meanwhile, although the individual who killed Cecil the lion surely does not have any such malevolent intentions toward other humans, nevertheless, hunting simply for sport is still very harshly frowned upon by the Torah, and we should try to discourage others from doing so if at all possible – and that includes not just hunting “endangered” animals, but all innocent animals as well, endangered or not. Where is hunting for sport "harshly frowned upon by the Torah"??? IIRC Nodeh B'yehuda has a teshuva about hunting, which concludes that although it is not explicitly prohibited by the Torah, it is associated with evildoers such as Nimrod and Esau. For the record, the Torah itself says nothing bad about Nimrod or his hunting- indeed, his prowess as a hunter seems to be a positive when the Torah speaks of him. Very little bad is said about Esau apart from his intermarriages. In fact, if you read the pshat, he comes across as rather sympathetic, with maybe some bad character traits. His hunting is definitely not frowned upon- after all, Yitzchak himself asks him to hunt him a good meal, and if anything, Chazal make his hunting ability even greater in order to explain how that could be kosher l'halacha. In neither case is it said that they hunted for sport. Yes, Chazal do, but it's important to remember the plain meaning of the pesukim as well. ---- Bal tashchit is only a very minor part of why hunting for sport is so frowned upon and forbidden. Rather the main reason is that hunting for sport is clearly cruel behavior, and we are commanded to avoid cruelty to the extreme and to carefully follow in the ways of Hashem, “ma hu rachum af atoh rachum,” just as He is merciful so too you shall be merciful, and “rachamov al kol ma’asov,” just as His mercy extends to all His creatures, so too we must be merciful to all creatures. Reply to Nachum: For the record, even in plain meaning of the pesukim neither Nimrod nor Esav are presented as “positive” and “sympathetic” characters. Your comment however alerts me about the need to modify my previous comments, about how we are enjoined to have mercy on all, with a note of caution, that this principle does not apply to the wicked, for to be kind and sympathetic to the wicked inevitably leads to being cruel to the merciful, as Chazal explain, “He who is compassionate to the cruel is ultimately cruel to the compassionate.” Unfortunately, over and over again, we see the disastrous consequences of good-meaning people ignoring this salient warning of our sages o.b.m. Very well said Rav Slifikin. The world knows who has the oil, and few nations will bite the hand that greases them. Antisemitism is still a scourge that is often fueled by other religions, many who are very well financed. I have never seen a living thing that is not beautiful. Are there no laws in Israel making it a crime to kill endangered animals ? Maybe the hyena killers can be prosecuted. I was in touch with the Israel Nature Reserves Authorities, they are going after them. I think oil is only a small part of it. People would hate Israel even if, say, Canada controlled 90% of the world's oil reserves. I have to admit I am puzzled by this. Of course killing Cecil and other protected animals is a criminal act and those who did it should be punished, but how much comparable outrage is there at the horrors Boko Haram is carrying out in West Africa. Are there millions of "hits" on the internet when these attacks are reported. Where are people's values (Rav Slifkin,I am not including you in this, I know where your values are). Do you see any real response from the victims fellow Christians in the West? Over at another Orthodox blog when I raised the issue at American indifference (including that of Obama who claims to be proud of his African heritage) I was told by more than one commentor that "Boko Haram is not a threat to the US'. Well neither is this poacher who killed Cecil. WHERE IS THE OUTRAGE OVER REAL HUMAN RIGHTS ATROCITIES? I don't think any is seriously going to criticize Palestinians, a favored "victim" group for doing something like this. After all a group of "progressives" at the PEN writers organization refused to condemn the Charlie Hebdo/Hypercacacher terrorists because it might "contribute to Islamophobia".Even "liberal" Doonesbury cartoonish Garry Trudeau agreed with this. So don't expect anyone to get upset at blood lust like we saw with the hyena. We have no moral right to interfere with their "fun". After all look at what they are doing to their fellow Muslims/Arabs in Syria, Iraq. Yemen, Egypt, Libya, Lebanon. So what is kiling a hyena? When a human kills an animal it turns heads. When animals kill an animal it is nature. What do you expect from animals? But let's put that aside for a moment. If we accept your premise, then Palestinians can't be held morally responsible for anything they do. Animals cannot be expected to share human morals. Isn't it better, both tactically and rhetorically, to recognizetheir humanity so that those who do commit immoral acts can be held responsible for their actions? In new jersey there is a concept of 'muad'. Its done in municipal court, no three previous attacks, no warnings, can be any animal (stereotype pit bull and similar dogs), implicit extortion of pet owner by victim. If there's a death, the police often do it extrajudicially. Love this post! I did know of your first position from your Lion King posts several years back. Did not see your second point coming. Thank you. Although the hyena video was hard to watch, it is not as detestable as hunting for sport. The Arabs likely wanted to kill the hyena to make sure it didnt terrify a neighboring village. They used their weapon of choice- rocks (more like boulders) to kill it. It was vicious. But at least in their minds, becessary. Striped hyenas do not pose any kind of threat. They don't "terrify villages". I'm pretty sure that the Arabs know this. I dont know enough to respond to your comment. It is apparent that they didnt feel too threatened by it though as they came close to it before it was incapacitated. I don't understand how you could be sure of this. Yes, they are probably aware that there have been no Hyena attacks up till now but they might of very well felt that it could happen in the future. Whereas I would stare in wonder if I saw a stripped hyena in the wild, I could certainly see how people uneducated about animals and conservation would react differently. I object to politicizing this incident and making invalid comparisons with the killing of Cecil the lion. While the killing of the endangered wild hyena was unfortunate, the villagers had reason to kill it since it was on a traversed road and could cause harm to people. You have shown some videos of your interaction with some zoo hyenas where they appeared to be about to attack you. The identity of the villagers is immaterial, nor do you know the political affiliation of that US dentist who lured Cecil from his sanctuary in order to kill him and to claim his head as a trophy. Striped hyenas do not pose any kind of threat to people. I'm sure that the Arabs are aware of that. The US press already reported he gave donations to mitt romney. Its a popular database search. It's quite clear from the video that they were doing it for fun. I just don`t understand the mentality of those whose idea of amusement is killing something. Still, the level of outrage this generated is totally disproportionate. Today most people agree that communism was evil--and so was McCarthyism. I hope that twenty years from now, big game hunting will be a thing of the past, and internet shaming too. Rightly or wrongly, I would feel safer interacting with a striped hyena than with a 'Palestinian' Arab. Poor creature. The Arabs in the video clearly know how to use rocks to kill. They also seemed to be doing it for fun. I am appalled by this video. I came across a hyena in the forest near my home a few months ago and it did nothing other than stare at me as I rode past on my bike. What area of the world? The more straightforward explanation is that Cecil the Lion was world famous before being killed, while this hyena was not. Sam Harris just put a podcast featuring Psychologist Paul Bloom. They talk about how our empathy frequently skews policy in illogical and unfortunate ways. I don't get Cecil caused such an uproar (pardon the pun). Well said!! I have shared a story with the video on Facebook, and encouraged my friends to share as well. Hopefully they will get the word out about these heinous actions! 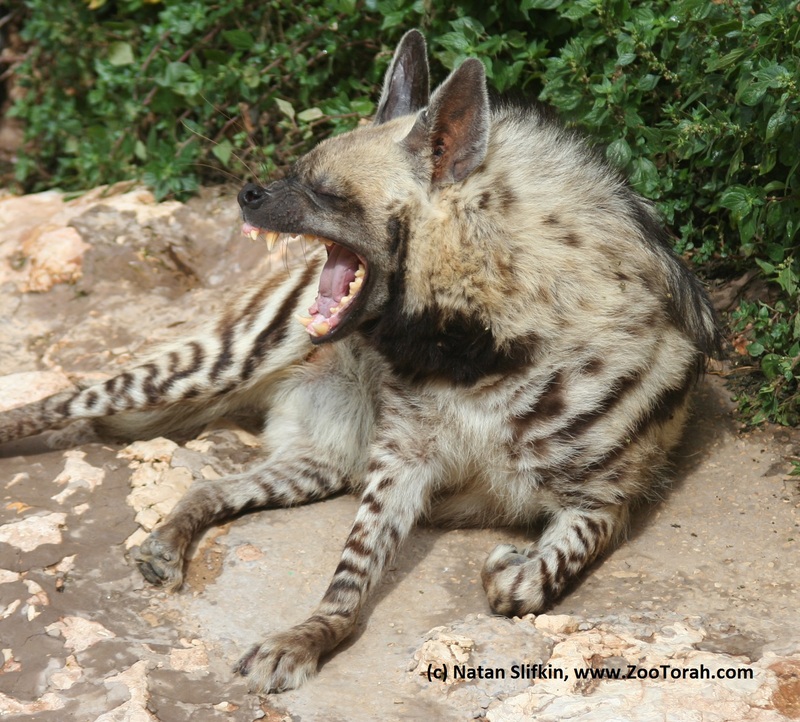 R' Natan, I will admit that the stoning of that hyena is ugly. However, I don't know that the motorists could discern between a non-threatening striped hyena and a dangerous spotted one. In any case, the political tone of the post is what elicited my negative reaction. I don't recall such a reaction when some Hareidim stoned a cat in J'lem claiming that it was an 'evil gilgul'. I also seem to recall that the late Moshe Dayan would hunt endangered animals without much public outcry. Your outrage appears to be connected with the fact that the perpetrators are Arabs. Let's not feed the hatred between the various inhabitants in Israel and in the shetachim. Recent events show the extremes that such hatred can take. 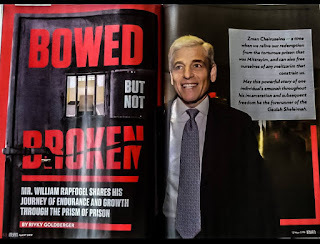 Yes, someone managed to connect Cecil with hasbara! 1 % of animals get 99% of the love. We are the 99% ! Great blog post. Thank you. Better Nuclear Holocaust than Unity?